It was fun while it lasted, but Mendeecees Harris has been ordered to go directly to jail. Do not pass go, do not collect $200! 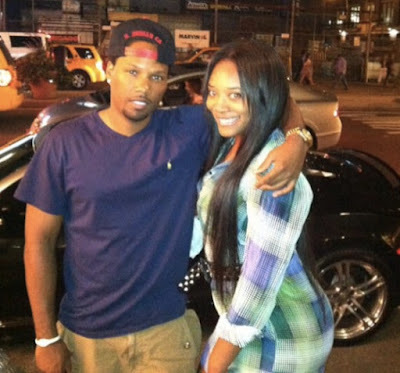 Mendeecees has been out on bond since April, when his wife, Yandy Smith of Love & Hip Hop New York, put up $200K of his $600K bond. Unfortunately for Mendeecees, his past as a drug trafficker has caught up to him. He pled guilty to the charges, and the feds are ordering him to spend the next 8 years in prison. Mendeecees is the fourth reality t.v. star to be convicted of federal charges. Real Housewives of New Jersey's Teresa and Joe Giudice were convicted of forging bank loans and falsifying W-2's. Teresa is finishing up her 15-month sentence, and Joe was sentenced to 41 months. Also, Real Housewives of Atlanta's Apollo Nida was sentenced to eight years for bank fraud and identity theft.